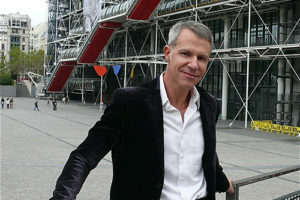 Alain Quemin is professor of sociology of art at Université Paris-8 / Institut d’Etudes Européennes and an honorary member of Institut Universitaire de France. He holds a PhD from Ecole des Hautes Etudes en Sciences Sociales. He is a former president of the sociology of art research committee of the International Sociological Association and has been an invited professor in numerous universities worldwide. Quemin specializes in the sociology of art markets and institutions. He also studies visitors’ surveys, the internationalization of the visual arts and the social construction of artistic reputations and consecration for visual artists. His most recent book is Les stars de l’art contemporain. Notoriété et consécration artistiques dans les arts visuels (2013). Quemin also works as a journalist and art critic and is a regular contributor to La Gazette Drouot, artpress and Le Journal des Arts.